TOP CAPACITY: There are 40 suites with a maximum of 80 guests. Look up “idyllic luxury island resort” in the dictionary and it should simply state: Lizard Island, 290km north of Cairns. A keyless resort without mobile reception, TV or wi-fi in rooms means you’re immediately immersed in holiday mode, ready or not. The first resort here was built in 1973 to house the game fishermen attracted to the best Black Marlin fishing in the world. Today, the island is going through a renaissance thanks to new owners who have made the necessary investment to bring the resort back to its former glory – it’s now at the pinnacle of Australian resorts. This coincided with the appointment of highly respected and irrepressible GM Robyn Pontynen who after an eight-year hiaitus (where she was GM at Lilianfels in the Blue Mountains) returned to Lizard. 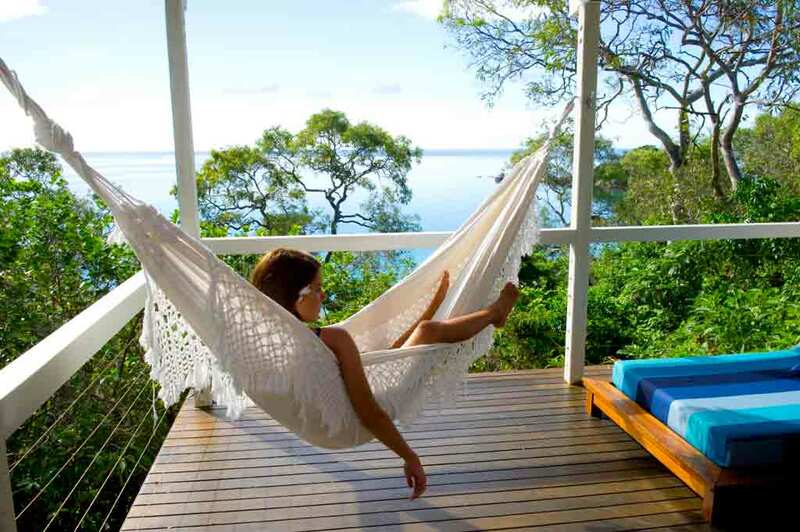 The island is renowned for being the greatest or best Great Barrier Reef experience available. You can stroll 10 metres from your luxury suite to the beach and swim out with your resort-supplied mask and flippers to snorkel over the Great Barrier Reef. And that’s just the beach in front of the resort. Then there are day trips to the outer reef and what is reported to be one of the top five dive sights in the world, the Cod Hole on Ribbon Reef 10. While Lizard is famous for its reef experiences, it is the beaches that get the greatest workout. There are about 22 private beaches on Lizard and neighbouring Palfrey Island. At about 11am, the canopied tinnies begin their procession as romantic couple after romantic couple ventures off with an amazing picnic lunch to one of the private beaches. The activity staff are careful to send all couples to different beaches. Other draw cards include nature walks, private beach dinners, and some of the best fishing in the world in one of the most beautiful settings in the world. Most affordable room: Anchor Bay Rooms are on the western side of the resort and cost $1444 per room per night (all meals, standard alcoholic drinks, snorkelling equipment and use of a dinghy included). The rooms are compact at 44 square metres, but have direct access to the beach below, a private balcony, a Bose stereo and Aesop toiletries. 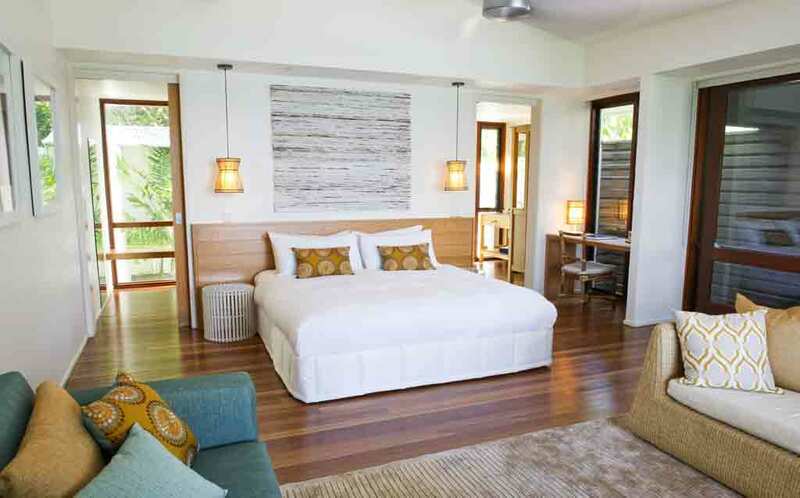 Best room in the House: The Pavilion is the most exclusive room on the island and at $3186 per night, it’s also the most expensive. The Pavilion is perched on a headland that stretches out to tiny Osprey Island, allowing 270-degree views of the beaches on either side. 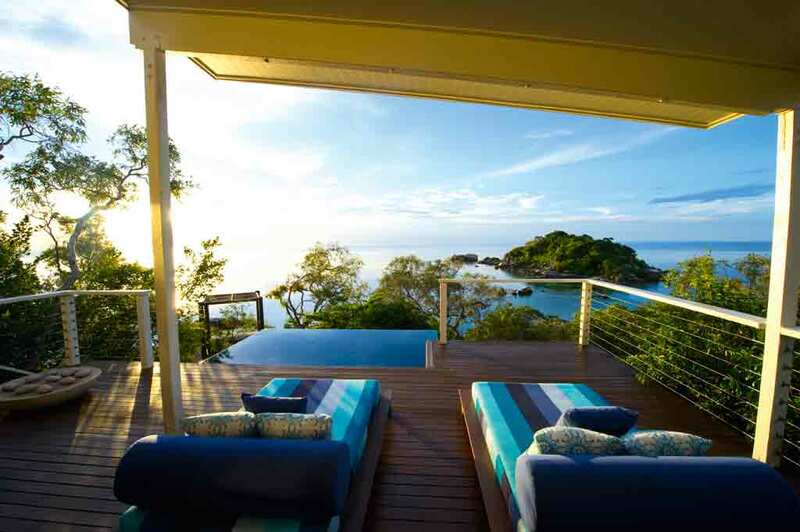 A private entrance, plunge pool, patio and day bed makes it the most indulgent and private retreat on the Great Barrier Reef. Snorkelling the Fringe Reef: snorkelling gear is handed to guests at check-in so you can make the most of having the world’s most beautiful reef right in front of you). Private beach picnics: hop into your tinnie and tootle off to a private pristine beach with its own reef and marvellously clear turquoise water for a true once-in-a-lifetime, never-to-be-forgotten experience. Tuck into massive tiger prawns and Champagne. Glass-bottom boat tours: they may sound lame but are actually quite helpful to get you orientated on the reef so you can identify what you’re snorkelling over. Reef Research Centre: This privately funded research centre is a worthwhile two-hour visit that gives fascinating insights into some of the research being conducted on the reef. This is where some of the most important reef discoveries have been made. Introductory dives ($190pp) get beginners used to the equipment. Then journey to the outer-reef for a dive up to 12m ($340pp). Snorkelling day trips to the Outer Reef ($210pp) on board the resort boat MV Serranidae take you to the best reef snorkelling at the Cod Hole. Certified divers can explore the depths for $309 with equipment. Full-day game fishing charters cost from $2750-$2950. Trust Brutus and his team to take you on the fishing trip of a lifetime. Nowhere else in the world does a first-timer have the opportunity to catch a “grand” (as Brutus calls it) – that’s a 1000-pound marlin to you and I. This really is the best of the reef. 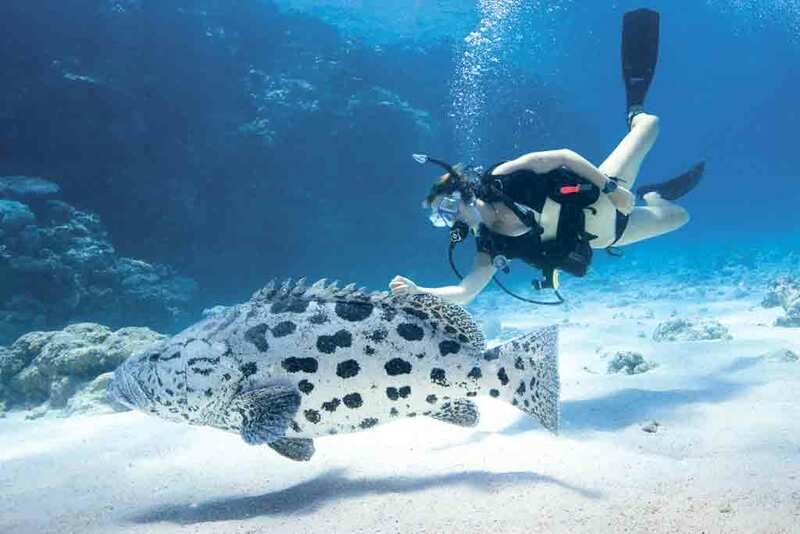 Snorkelling, diving and fishing are at their best from Lizard Island. There is no better place in Australia to experience one of the greatest natural wonders of the world – the reef. The Service. The service culture on Lizard is impeccable and the best I have experienced in Australia. The staff are passionate and are seriously invested in giving guests a rejuvenating experience. It’s clearly the mark of Robyn as general manager, who has instilled a remarkable work ethic here. The beauty of Lizard as a location cannot be overstated. It is made even more attractive because mobile phones do not work. It’s paradise disconnected. The journey: while it does make arriving here all the more impressive, the journey is difficult and expensive. You must fly in to Cairns then board a smaller aircraft for an hour’s flight out to Lizard. There’s no regular boat transfer, but if you’re really flush you could always charter a private vessel for the day trip or overnight journey out to Lizard. There are no bathtubs in the suites, which is a bit of an oversight. A leisurely, truly indulgent soak in a bath wouldn’t have gone astray, but the beach is a decent substitute. Executive chef Mark Jensen has overhauled the menu and dining since arriving for his second stint on the island in mid-2010 (his first stint was in 2006 as sous chef). A constantly changing menu means there is no such thing as a signature dish. The menus are consistently interesting and certainly brave considering a barge with supplies only arrives every fortnight. The menu is different every day – for breakfast, lunch and dinner. It requires an inventive mind and the occasional substitutions. A new feature is the addition of a Thai degustation menu every Tuesday. Friday nights are great fun, with a beach barbecue preceded by a cocktail party. All meals are served with some outstanding Australian wines. If you are lucky enough to land a decent eating fish you’re always free to take it to the kitchen staff and say “Whadda ya reckon?” A mad fishermen himself, Mark is always up for the chance to get inventive with your catch. 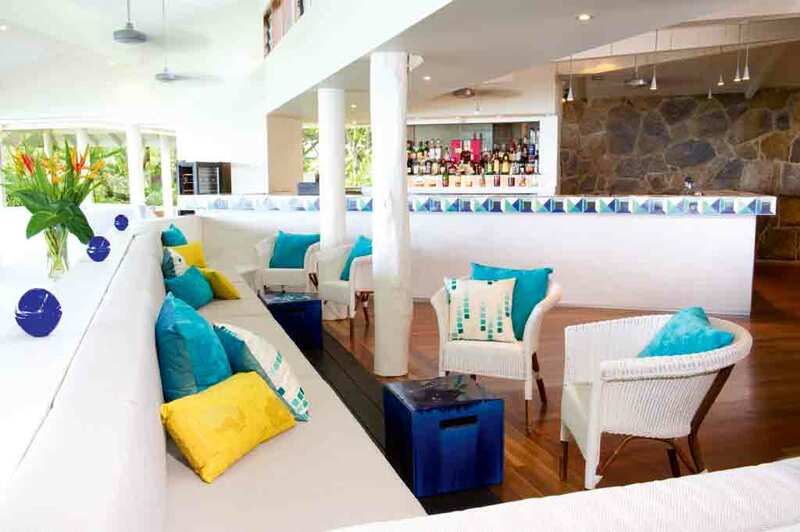 For the totally romantic couple, there is a personalised degustation experience on the beach. Mark will design your very own menu based on your favourite dishes, with matching wines, for an additional $300. If you are a fan of Sydney’s Mark Best, he will be heading to Lizard for a Gourmet Weekend in October.